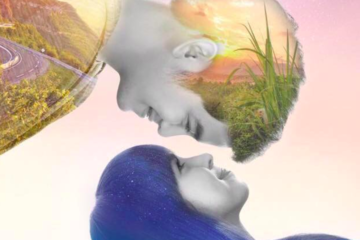 Ang Pamilyang Hindi Lumuluha Review: Don’t judge a film by its poster. I already know this too well, yet I went to see the Cinemalaya 2017 entry, Ang Pamilyang Hindi Lumuluha, expecting it to be heavy drama, given that the only thing I have about the movie is its poster. A portrait shot of Sharon Cuneta shows her staring blankly yet intensely into the camera, set against a melancholic and grainy sepia background. Despite the title, Ate Shawie’s eyes give the impression that she just wept, or is at least about to cry. Surely, this has to be a tear-jerking film, and familiar scenes from Laurice Guillen’s Tanging Yaman crossed my mind and set my expectations. The film turned out to be totaly different. Instead of a lot of crying (or the lack of it), Ang Pamilyang Hindi Lumuluha treats the audience to a light-hearted comedy. I guess, if I only watched its first teaser-trailer, I would have understood that it may really have been the movie’s intention to give the audience an impression that it’s heavy drama, only to be led into an unexpected twist in the end revealing its comedic nature. 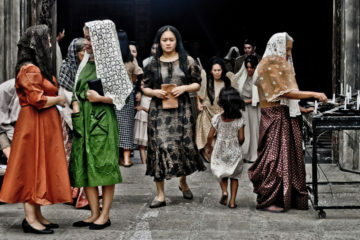 Ang Pamilyang Hindi Lumuluha starts off with an exposition on a town’s folklore about a family that doesn’t weep. Apparently, the mere presence of this family mysteriously brings good luck and prosperity to the village, and so when they left, the whole town also fell into gloom and misfortune. 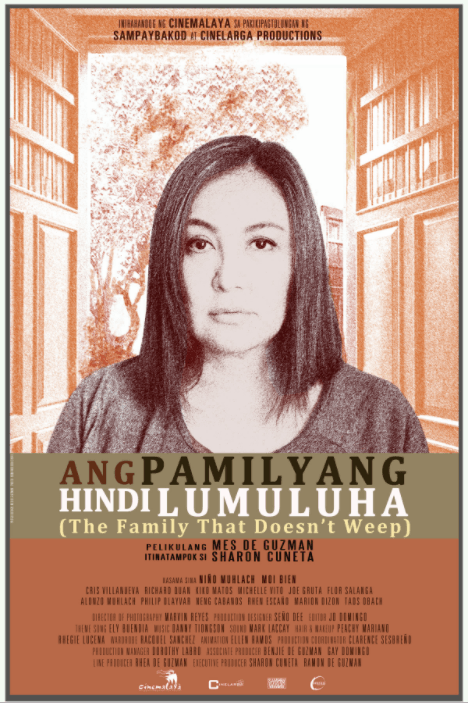 A mother (Sharon Cuneta), out of desperation clings onto this rural myth, and attempts to bring the Family that doesn’t weep together, in the hopes of bringing back her own. Sharon Cuneta and Moi Bien’s banters are the highlights of the film, with both having a strong comedic chemistry, which worked so well with the witty script. 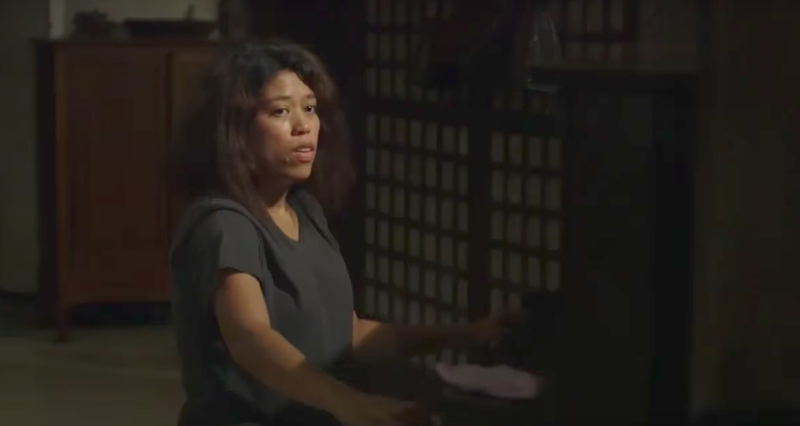 The first act was intriguing, building up Sharon Cuneta as this mysterious homeowner who appears to have secluded herself inside her unkempt house. The film even goes as far as hiding Sharon’s face from the frame to build up the mystery. However, the film becomes wobbly in the middle, as the humor, which initially came from the character’s dialogues transitioned into slapstick. 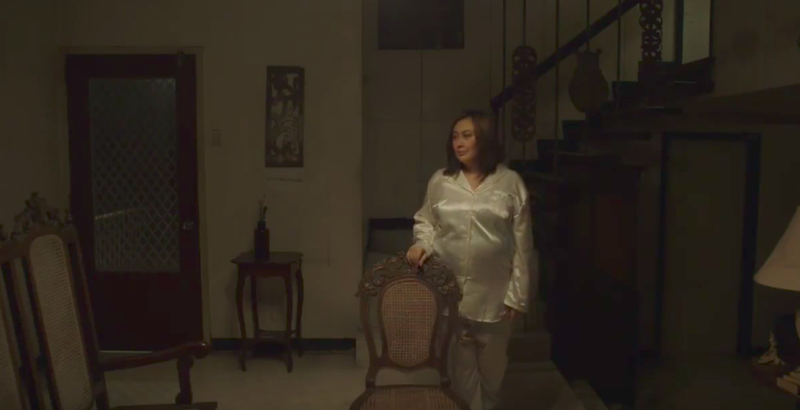 At some point it feels like the story has lost its footing (many of the supporting characters could use a bit more character development), but quickly redeemed itself at the denouement, showcasing Sharon Cuneta’s prowess in drama. The ending felt hurried, but still works nonetheless. Anchoring on the myth of the Family that never weeps (which I’m yet to verify if it’s an actual myth, or only made up for the film), was an added dimension that moves the plot forward. It’s the mystery that keeps the audience thinking even after they have left the cinema. Were the people that Cora gathered the actual members of the Family she’s looking for? What’s the real story of the Family? I wasn’t able to fully grasp the answers, and it’s frustrating. Next ArticlePower Mac Center Sale – Up to 90% Off! worst movie i have seen so far. if rotten tomatoes would rate it, im sure it will have a negative score. indie films usually exploits the freedom of tackling sensitive subject matter. this is not the case here. it seems to be more of a fan service. a movie where you just need to turn your brain off for a couple of hours. the story is so shallow. the plot is confusing. the comedy is barely funny. the one drama scene is unnecessarily heavy- where it was only sharon doing all the acting. seems like the director told sharon “eto lang ang scene natin na makaka-acting ka, todo mo na.” and because of that, nagmukhang OA si sharon. 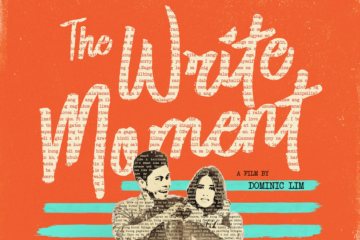 there were a lot of continuity errors due to poor editing resulting to a very confusing plot. leaving you scratching your head wondering why that scene was even there. a lot unnecessary scenes. predictable ending.